International forex broker RoboForex is a Financial Group, which over the short period has become one of the leading providers of services on financial markets and earned confidence of thousands of clients. 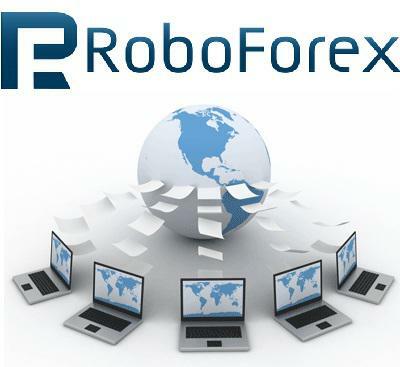 RoboForex Financial Group consists of RoboForex (CY) Ltd, RoboTrade Ltd and RoboForex LP. From the moment of its foundation, RoboForex has always been focused on creating comfortable trading conditions and offering high quality services to its clients, and the Company’s main advantages are our flawless reputation, customer care, and innovative technologies. Today, we’re in active and successful operation in several countries all over the world and do our best to expand the field of our activity and cover new areas. We’re very proud of the services we provide our clients and partners with, which are of the same quality for all, regardless their experience and amount of their investments. Do not need to open a new account, you only need to open a new ticket in your RoboForex account panel and to request to transfer your account under FxRebate Group. Specify in your request the FxRebate Affiliate ID. *The Rebates are calculated for one round turn lot (100,000 units) for Currencies, (100 oz) for Gold, (5,000 oz) for Silver, (one contract) for Equity Index CFDs, (one share) for Equity Index and (one contract) for ETFs. **RoboForex does not pay commission on Viking Trader Account, therefore no rebates will be paid by FxRebate. Available funds on your trading account may produce an additional profit and help you to secure your money from inflation. After joining "Up to 10% on available funds" program, you’ll get monthly payments as the annual interest on your funds, which are not used in trading. Those RoboForex clients, who have passed the complete verification, can receive a special welcome bonus – "Welcome Bonus 30 USD". Join the bonus offer and receive an initial capital for trading at the least cost to your investments!